Welcome to day 6 of my 24 days of Slimming World Christmas Buffet Recipes. 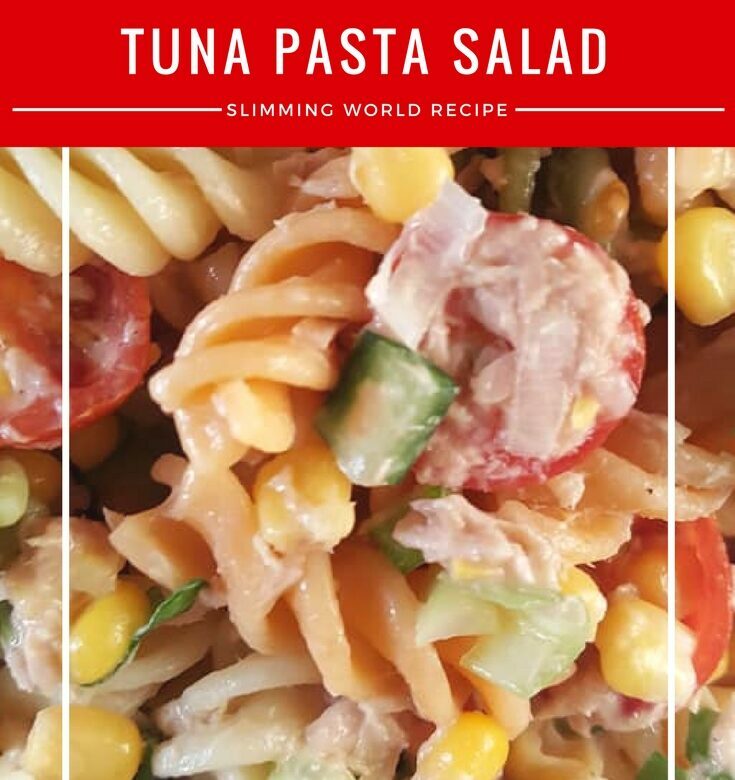 Today’s recipe is a Slimming World style tuna pasta salad. This can be made a day ahead and kept in the fridge. Any of your favourite salad vegetables can be added. I like onion in my salad but Ant’s not keen on raw onion so we tend to leave it out. Quantities aren’t very important with this recipe. You can use the vegetables to bulk it out to make it big enough to feed all of your guests. The quantities I used served 4 of us for 2 main meals. Stir in the mayo and mix well. When the pasta has cooked, allow to cool before adding to the tuna and vegetables. I leave the pasta in the water while it’s cooling so it doesn’t stick together. Mix the pasta into the tuna and mayo mixture and serve. Tomorrow’s recipe is lamb koftas with a mint yogurt dip. Please note: I’ve lost 7 and a half stone with Slimming World and kept it off for four years, however, I’m not a Slimming World consultant. I haven’t been trained and I’m not affiliated with Slimming World so please check all your own syn values.